◎ The Most Popular & Powerful Persian Calendar in the AppStore! 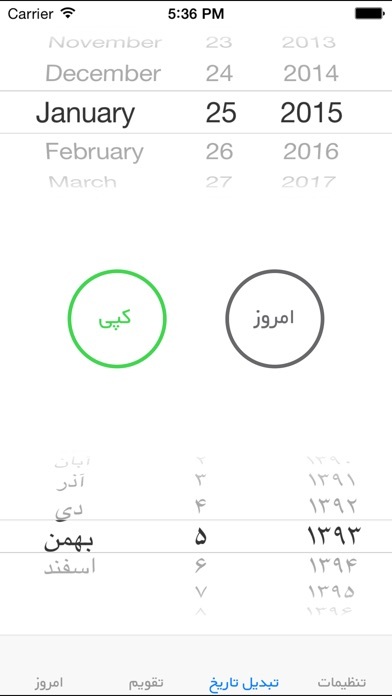 Persian Calendar app. is the 1st Persian Calendar for iPhone/iPod Touch/iPad and the most practical Persian Calendar you can find for iPhone/iPod Touch even for iPad. 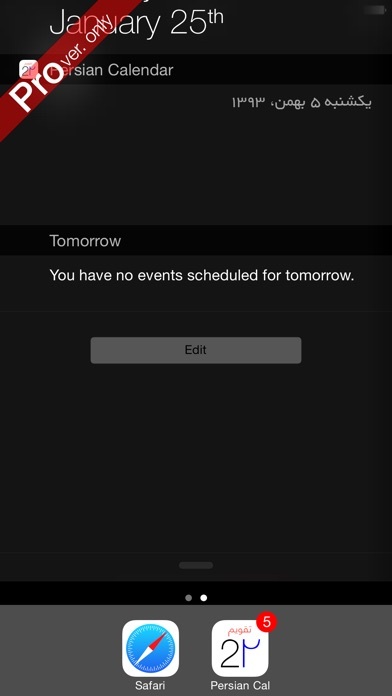 The most important function with any calendar is to display the CORRECT date. Many similar calendar shows bank holidays and special dates are based on the Hijri (Islamic) calendar. Persian Calendar Pro is the only Persian Calendar application that accurately converts all holiday dates from the Hijri calendar. * These features are only available on the Pro. You can upgrade Pro with In-App Purchase into the app. 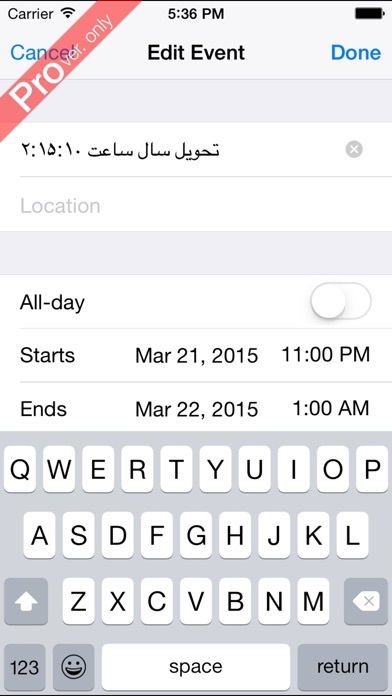 If you already purchased "Persian Calendar Pro" no need to use this app. Because all features able in "Persian Calendar Pro" is exactly same as "Persian Calendar" upgrade with In-App Purchase.